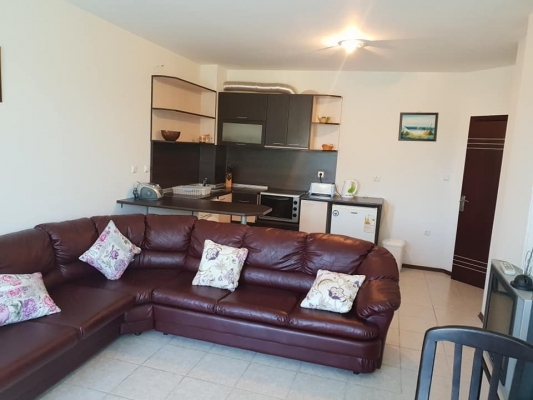 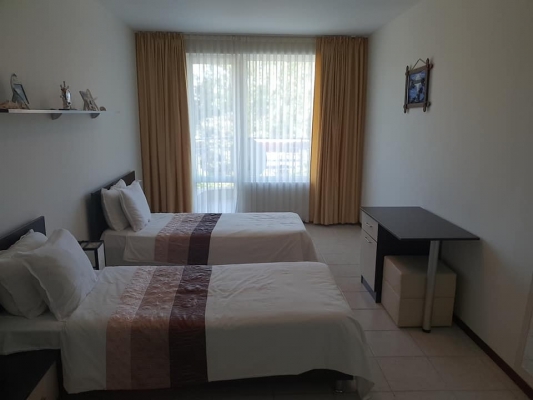 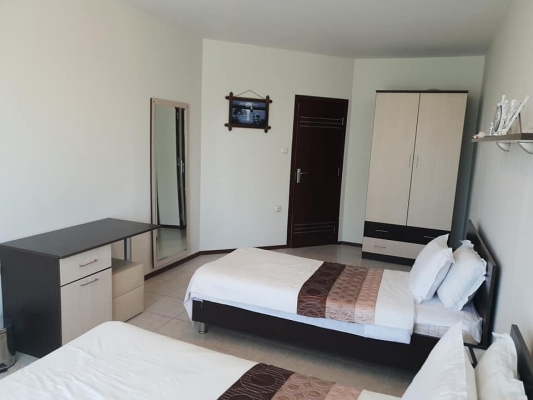 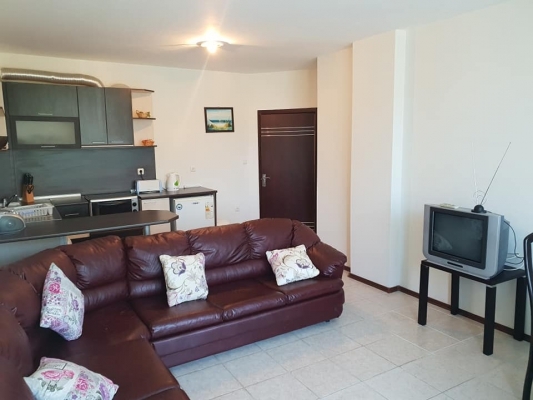 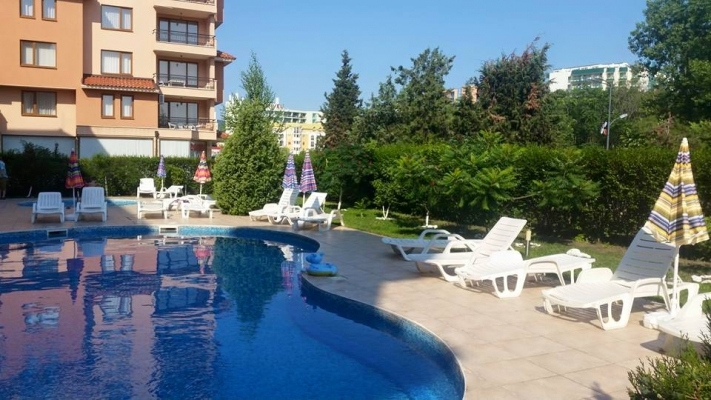 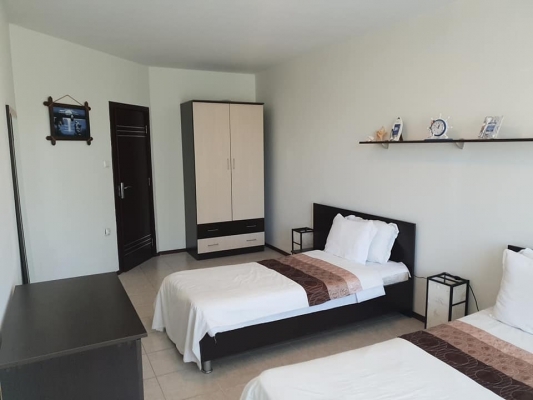 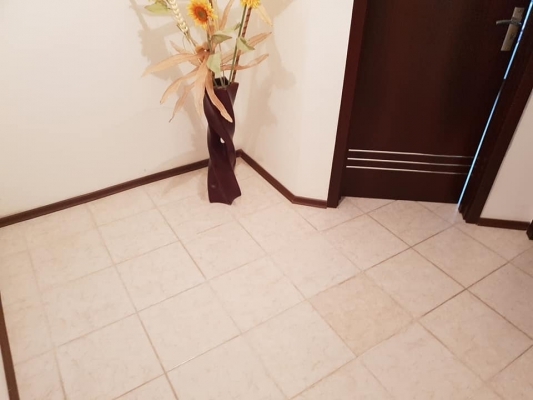 Clements Properties Ltd are delighted to offer this beautiful very spacious 71 sqm 1 bedroom resale apartment for sale at the "Sunny Gardens" complex in the Northern part of Sunny Beach. 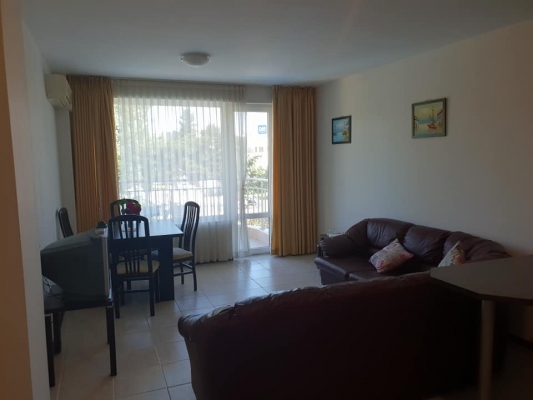 Being only 5 minutes walk to the beach (around 300m) and 15 minutes walk to the centre of the resort the location is perfect. 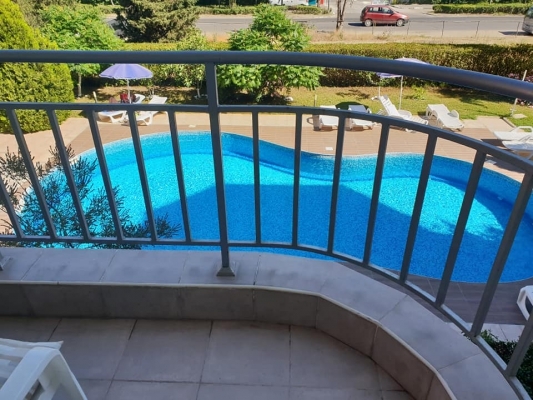 The complex is located on the main Sunny Beach to Sveti Vlas road and next door you can find the the "Flamingo Hotel", "Efir complex" and it is also close to the "Ivana Palace Hotel". 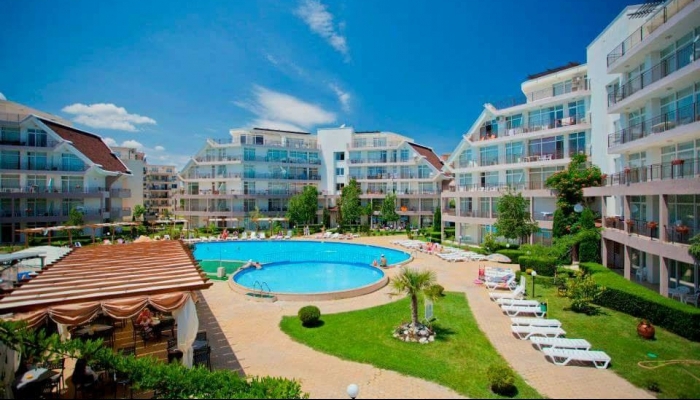 On the Sunny Garden complex you can find a quiet swimming pool and also areas for relaxation. 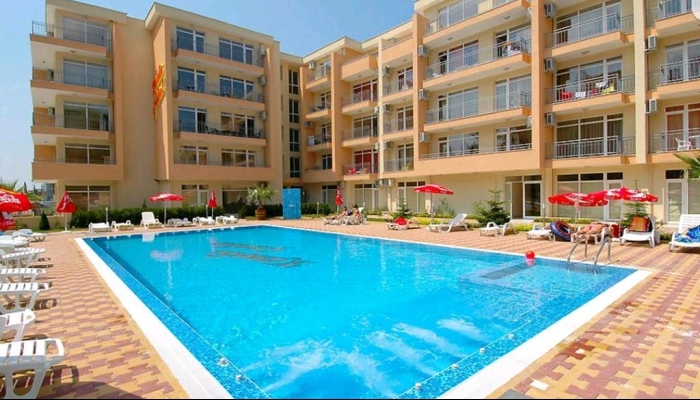 The apartment is situated on the second floor and both the living room and the bedroom face the pool. 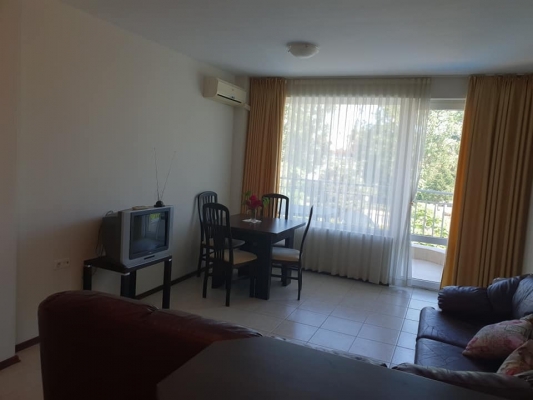 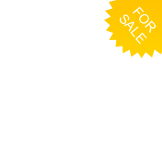 The property is sold fully furnished with high quality furnishings. 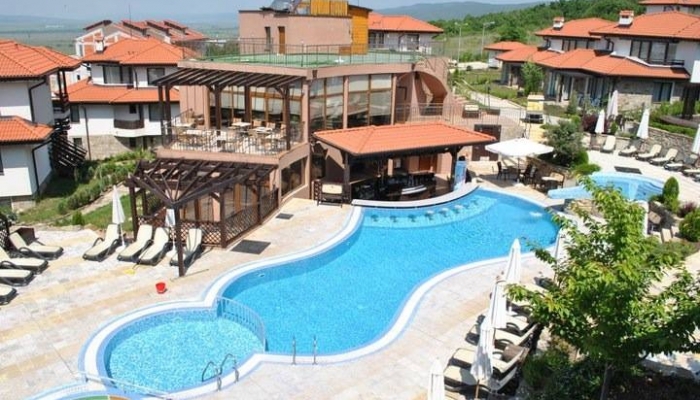 There is an entrance hall, a spacious open-plan living room/kitchen, a big bedroom, and a shower room. 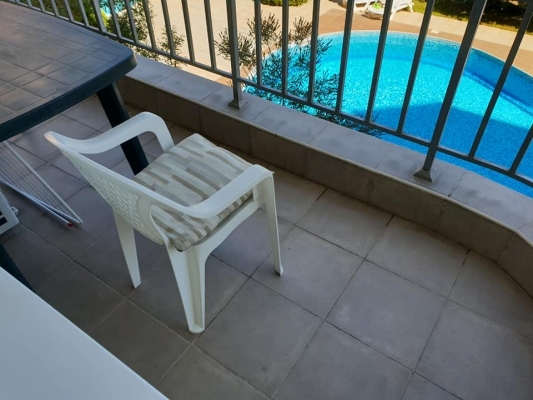 The balcony can be accessed from both rooms. 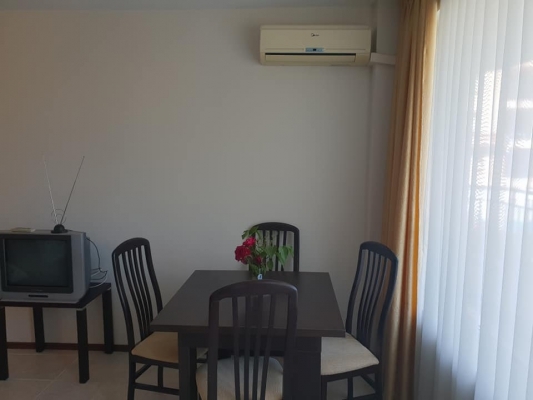 The apartment is immaculately presented and has been well looked after from day one.